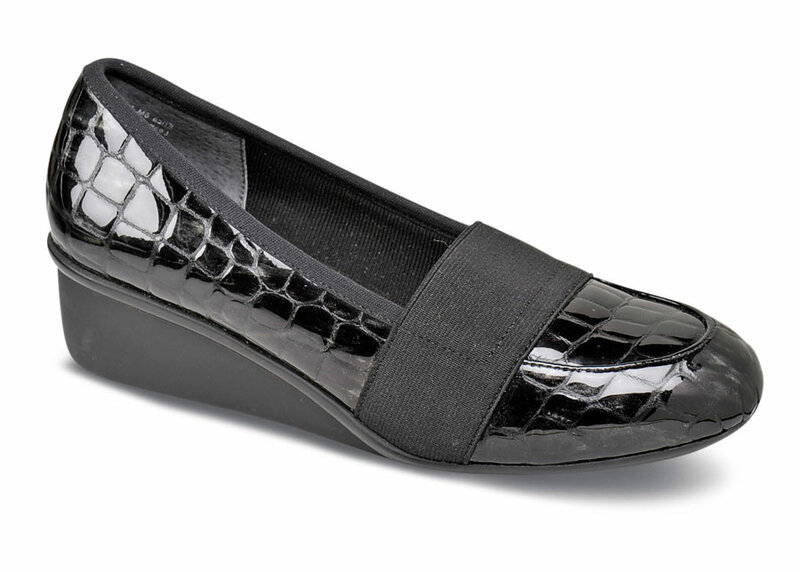 Ros Hommerson's black "Erica" combines the drama of croc print patent leather with a broad band of elastic that stretches across the instep to hold the foot comfortably and securely. A Memory Foam insole provides cushioned comfort. 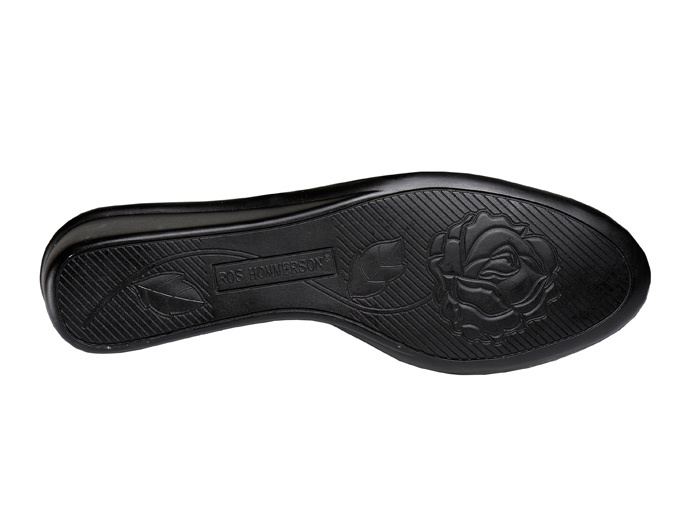 The molded wedge sole with 1½ inch heel is sleek but stable. Originally $114.95. Limited stock in women's 2E width in sizes indicated.